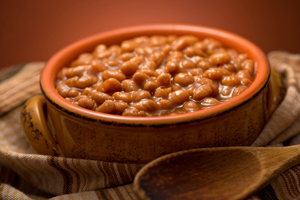 We are happy to share this recipe with you — finally, all baked bean lovers out there can rest assured and never again feel shame while indulging in baked beans! This recipe will not only satisfy your taste buds but it is a great source of protein and contains no refined sugar. As a bonus we have substituted the sugar for molasses, which is great for boosting your metabolism and helping with weight loss! 2In a large casserole or baking dish, stir together all the ingredients, mixing well to combine. 3Cover and bake for one hour. TIP: If baked beans are too saucy, bake uncovered for another 15 minutes. For more recipes to rev-up your metabolism, otherwise known as thermogenesis download our Weight Management App.